One of the best things you could do is pick a top quality brand when selecting boots. Reputation is everything for brands and with a decent pair of boots, you will find work to be much better and comfort will also be at a higher level. 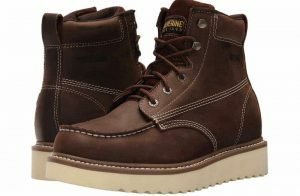 Wolverine is one of the top US brands and with most of their materials being indigenous, it has become a boot of the people. Since I am an avid fan of the brand, it made me extremely excited to test these boots and find out how great they actually are. The boots seemed well constructed and even though they are rather expensive, they are definitely one of the brands that you could consider investing in. I pushed these boots to the limits to find out how they hold up. Read on to find out if these boots are ideal for you! These boots are constructed from durable leather materials and they are styled as well. Instead of tanned leather, the boots are black and this makes them universal and capable of fitting virtually any wardrobe that you decide them to fit with. The outer sole is made from top quality lug rubber and this will offer you great grip and comfort. The patterns are also quite unique, making these boot slip resistant in all conditions. On the inside of the boot, you will also have a decent inner lining and this will also allow you to reduce any possibilities of abrasions that might occur from wearing the boot. This lining also wicks away moisture to keep your feet dry on the inside and ensure that no slippages are found internally in the boot. 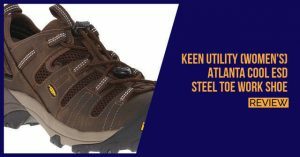 Wolverine does put a lot of time and effort into their boots and on the inside of these boots, you will find a comfortable cushioning system that will reduce some of the strain and provide you with some flexibility as well. 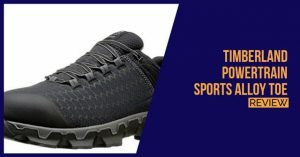 While PU cushioning is used in most boots, it is worth mentioning that this can be replaced if you feel the need to add the more advanced EVA inner sole. Wolverine has added a ton of additional features to these boots and this is what makes them so special to any user. The composite toe is one of the first things you will notice and while it does offer great protection, it is extremely lightweight as well. MultiShox technology has become a staple in Wolverine boots and this will absorb some of the pressure placed on your feet. It also removes some of the pain that can be felt in the joints. The welt construction is something most people take for granted, but if you are looking for an ergonomic fit, the welt construction is something that you definitely need to look for in boots. The last impressive feature in these boots are the larger design and this will; give you the utmost of overall comfort. These shoes do not have a bad break in period you need to deal with. Reviewing these boots actually turned out to be rather easy and no matter what you throw at them, they will hold up under the pressure and endure. I tried different surfaces and even a couple of uneven terrains that are arduous, but the boots always seem to come out on the other side without any real damage to speak of. With a multitude of unique features and different shocks, these boots will not allow you to have any fatigue or damages to your joints. They are perfect for individuals who need to spend prolonged hours on their feet and they really do hold up well in all weather conditions. It is worth mentioning that the boots are not waterproof and you should try to avoid any tough puddles. The design is impeccable and black adds that element of style to the boots that many people might not really know of. The boots are extremely stylish and they will meet all the needs of the ATSM standards for safety boots in the industrial and construction industry. The outer sole needs no explanation and the unique lug patterns on the rubber will definitely give you the utmost in terms of overall grip. Ventilation seems to be one of the main problems with these boots and they lack some holes that will allow the feet to cool down. The inner lining will be your only bet when it comes to wicking away some of the moisture, but for those working in extremely hot conditions, your feet might feel some of the heat at the end of the day. I would still recommend these boots for individuals working longer hours and they should be best when used in some cold weather conditions. These boots are somewhat expensive when comparing them to lesser brands, but we have seen that you need to be willing to pay if you want the best possible value for your money. 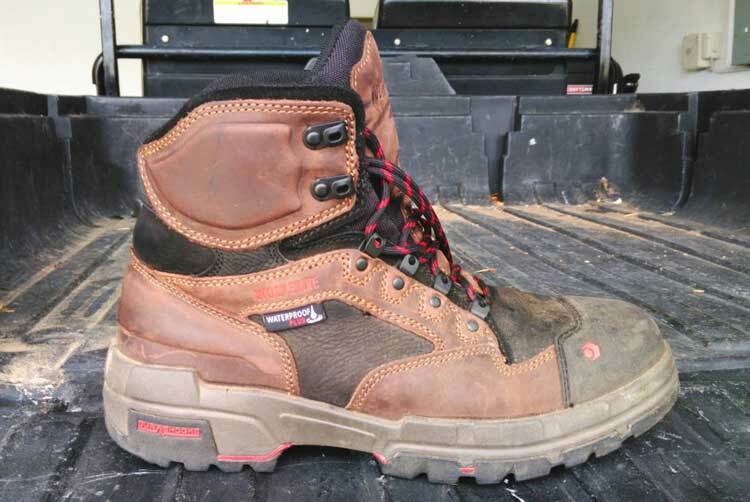 The boots are extremely durable and they are impervious to the elements when you are working in arduous terrains. With numerous shocks technologies, these boots will offer you the utmost in comfort and protection for your joints. The stylish design is definitely a big draw and it will make the boots perfect for any wardrobe you choose. These boots feature a Composite toe and this has been tested to be protective, but will also be lightweight, reducing the overall weight you need to carry around. No break-in period is necessary with these boots and they should be perfect from the get-go. They seem to be rather expensive and not ideal for the person of average income. These boots lack ventilation and they are not waterproof either. You will need to be careful when working in extremely hot conditions. Now that you have a better understanding of these shoes, you should know if they are ideal for you or not. We would definitely recommend these boots to anyone looking for a great pair of boots from a reputable brand. We would like to thank you for reading this article and we would like to encourage you to share some of your thoughts on these boots and if you think they will be ideal for your job.